More than a Bike shop! Here you will see some fantastic routes for you to explore and enjoy below. 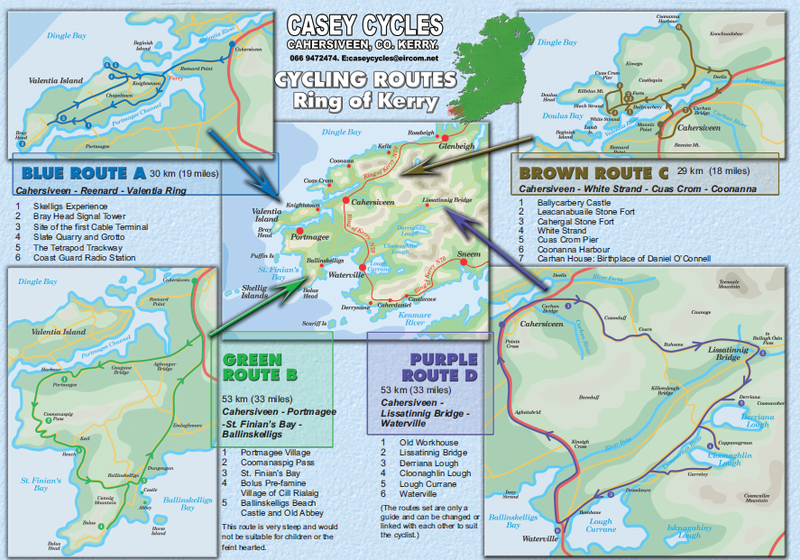 We also have a map if you click on the image of all routes together you can download and print. 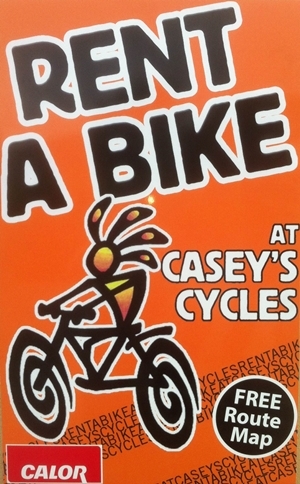 Visit Casey's profile on Pinterest. Hired a bike from Eamonn and I had a great day touring on his superb bike. Great daily price for renting bikes. Recommended. 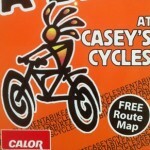 I hired in Eamonn Caseys Bike Shop bikes for my family. The bikes were very good and adapted to the irish roads. The Service was very good also. And we got additonaly a friendly smile and honest hints. The cost were fair and transparent. This was part of great holydays! July & August, we are open on Sunday from 10am-1.30pm.